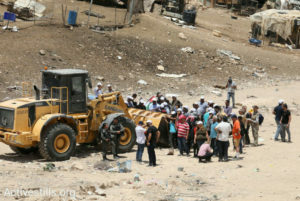 The United Nations Special Coordinator for the Middle East Peace Process, Nickolay Mladenov, expressed concern on Monday “at the intention of the Israeli authorities to demolish the Bedouin village of Khan Al-Ahmar/Abu Al-Helu” in the West Bank, where 181 Palestinians currently live, more than half of them being children. According to the UN Office for the Coordination of Humanitarian Affairs (OCHA), Khan Al-Ahmar/Abu Al-Helu, located in the outskirts of East Jerusalem, is one of 18 communities located in – or next to – an area slated in part for an Israeli settlement reorganization plan that would reportedly create a continuous built-up area, between the Ma’ale Adummim settlement and East Jerusalem. On May 24, the Israeli High Court of Justice rejected the community’s petition to prevent demolition, and nearly all of Khan Al-Ahmar/Abu Al-Helu’s structures are now at immediate risk of being torn down, including the school – built with donor support – which serves several communities in the area. On June 1, the UN Humanitarian Coordinator for the Occupied Palestinian Territory, Jamie McGoldrick, issued a statement noting that “Israel’s obligations as an occupying power to protect the residents of Khan al Ahmar are clear”. “Should the Israeli authorities choose to implement the outstanding demolition orders in the community and force the people to leave, they would not only generate significant humanitarian hardship but also commit one of the grave breaches of international humanitarian law,” stated McGoldrick. 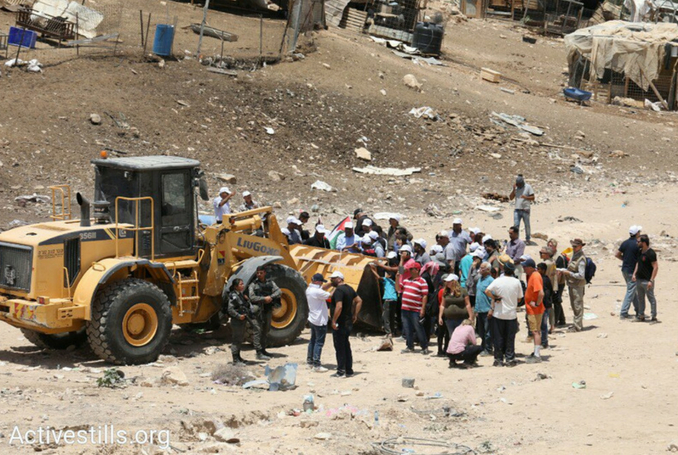 In July, the UN human rights office (OHCHR) also denounced the planned demolitions as breaching international humanitarian law as they would likely result in the forcible relocation of dozens of families. Written by: Jaber Ali on September 18, 2018. Posted by Jaber Ali on Sep 18 2018. Filed under Headlines, World News. You can follow any responses to this entry through the RSS 2.0. Both comments and pings are currently closed.